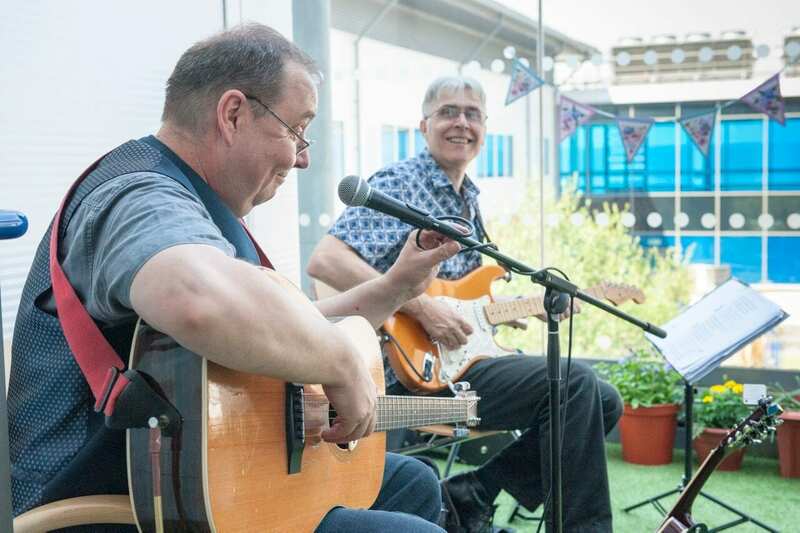 As the country celebrated the NHS’ 70th birthday and reflected on the enormity of the impact the service has had on all our lives for the duration of its existence, two organisations came together with the Cardiff and Vale UHB for a special celebration in University Hospital Llandough. Morrisons Supermarket in Cardiff Bay and Music in Hospitals & Care facilitated a tea party and musical concert on the Mental Health Services for Older People wards. Music in Hospitals & Care is a charity which brings interactive live music sessions to people in healthcare settings across the UK. For this special occasion, they organised multi-instrumental duo, Huw & Mel, to play for the patients on the ward. They treated patients to classic ballads like My Bonnie and Molly Malone as well as sing-along hits such as John Denver’s Take Me Home, Country Roads, which had them on their feet, singing, clapping along and even dancing with the nursing staff. Shannon Goodwin and Jo Villis, staff from Morrisons in Cardiff Bay, also attended the party and brought with them a spread of delicious treats for the patients and staff on the ward. 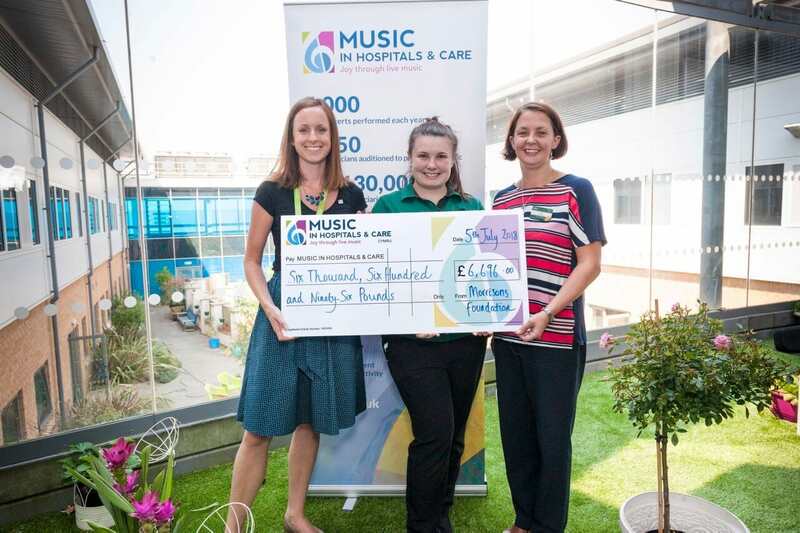 At the event, Shannon and Jo also announced a donation from Cardiff Bay Morrsions to Music in Hospitals & Care to the tune of £6,696. “There is no better way to celebrate the NHS’ birthday. The difference that live music can make to people is tangible and happens instantly. This is especially true in healthcare settings as the wards are brought to life with laughter and song. “The UHB is working hard to increase the amount of art on offer to patients, visitors, and staff (including visual arts, theatre, and dance as well as music) in line with the growing body of evidence of the positive effects the arts can have on the health and wellbeing of those in secondary care settings.